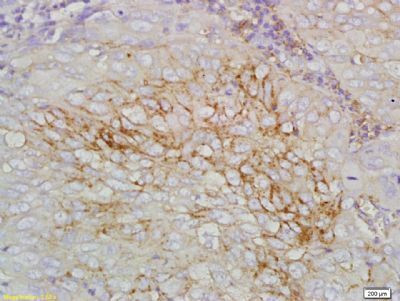 别 名 Six transmbrane epithelial antigen of the prostate; MGC19484; PRSS 24; PRSS24; Six transmembrane epithelial antigen of the prostate; STEAP 1; STEAP1; STEA1_HUMAN. This gene is predominantly expressed in prostate tissue, and is found to be upregulated in multiple cancer cell lines. The gene product is predicted to be a six transmembrane protein, and was shown to be a cell surface antigen significantly expressed at cell cell junctions. Prostate cancer is the most frequently diagnosed cancer and is the second leading cause of cancer-related deaths in American men. Although the early serum detection of prostate-specific antigen (PSA) plays important roles in early diagnosis, it may not distinguish prostate cancer from benign diseases. Recently, a novel protein, which contains 339 amino acids, named STEAP (six transmembrane epithelial antigen of the prostate), was identified in advanced prostate cancer. 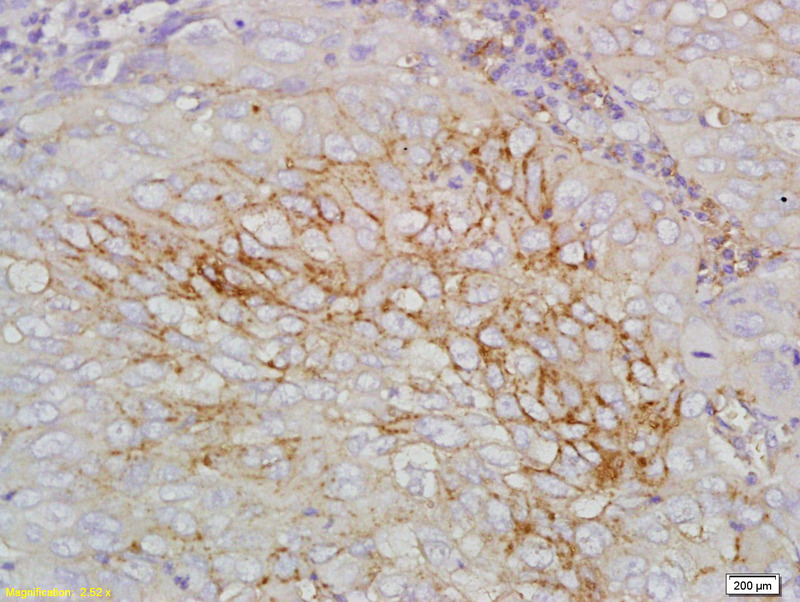 STEAP is unique among the currently known prostate cancer markers because of its putative secondary structure, from which one may predict that it functions as a potential channel protein. 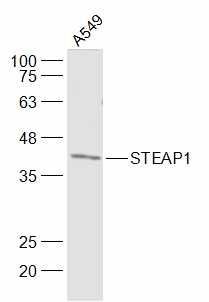 STEAP is strongly expressed in advanced prostate cancer and some extent expression in other cancers, such as colon and ovarian cancer cell lines. 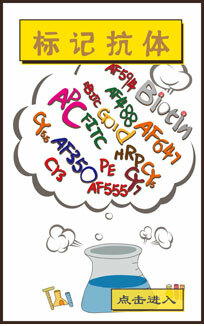 Metalloreductase that has the ability to reduce both Fe(3+) to Fe(2+) and Cu(2+) to Cu(1+). Uses NAD(+) as acceptor. Endosome membrane; Multi-pass membrane protein. Ubiquitously expressed. Highly expressed in prostate tumors.